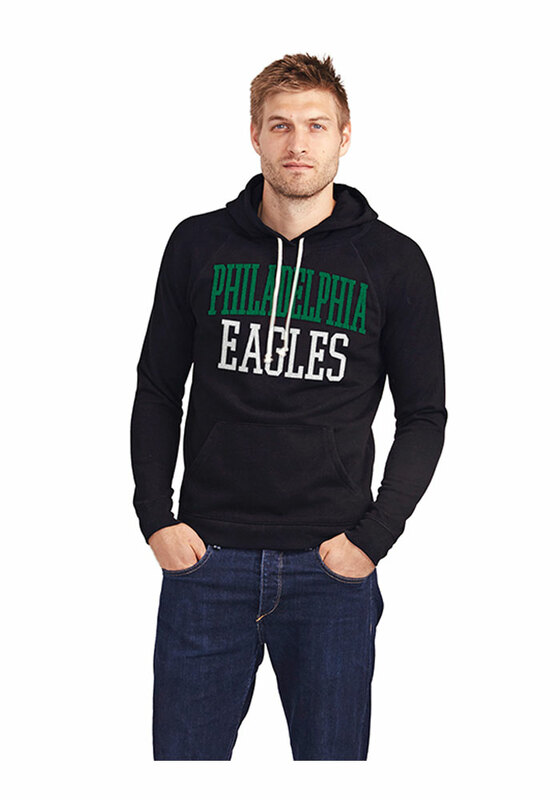 Stay in style while you cheer on the Eagles in this Philadelphia Eagles Black Long Sleeve Half Time Hoody Fashion Hood! This Long Sleeve Fashion Hood features a center chest chenille embroidered team name, front kangaroo pocket, and drawstring hood. It's designed for the ultimate comfort while cheering for Philadelphia Eagles.